When you hand out promotional products, you might wonder: Do people actually use them? Absolutely they do. And each time they use products imprinted with your logo, your brand gets some excellent exposure. The key is to give your audience something useful. While you might get a giggle from a fuzzy-haired novelty pen, your audience might find a sleek executive pen a whole lot more appealing. Or, it could be the opposite. The bottom line: Make your promos useful to your target audience. As you’ll see in our infographic below, usefulness is the #1 reason people hang on to promos. 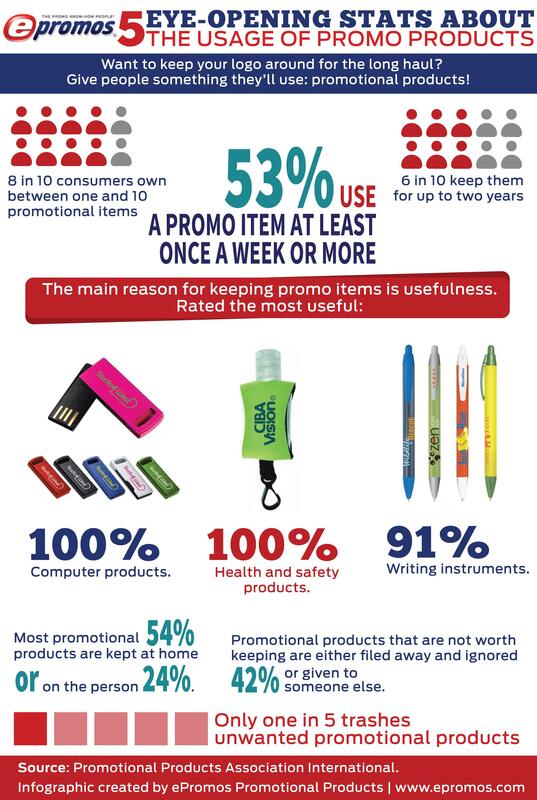 Check out more research about the usage of promo products below. If you find this infographic insightful, feel free to share.